If ultimately approved, part of the process would lead to the reclassification of Clark Road as a six-lane major arterial from Interstate 75 to Ibis Street. Additionally, Clark would become a four-lane major arterial from Ibis Street to Lorraine Road. 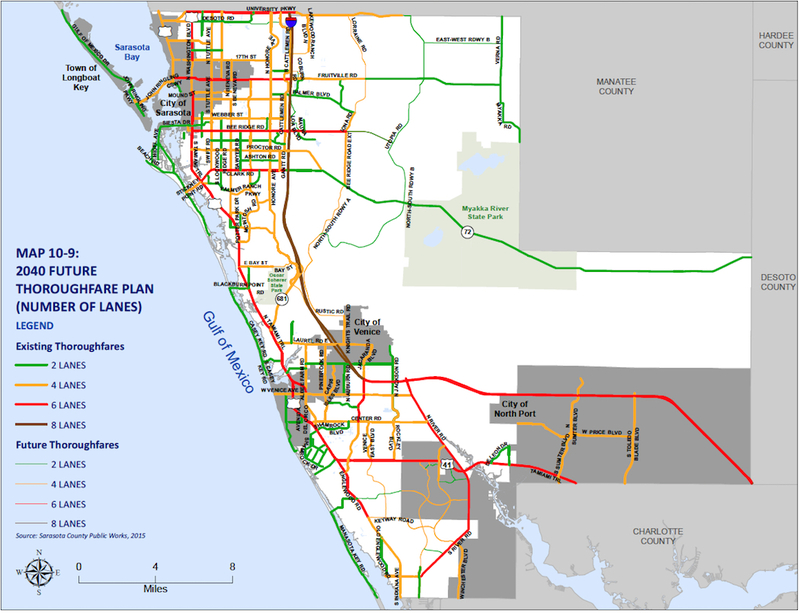 An Ibis Road extension was added to the Future Thoroughfare Maps in 2018, a March 12 staff memo noted. The Florida Department of Transportation (FDOT) defines “arterial” as a divided or undivided roadway that provides a continuous route, serving through traffic, high traffic volumes and long average trip lengths. The status of Ibis Road was a point of contention during public hearings last year as the County Commission addressed petitions for the Grand Lakes development east of Interstate 75, near Clark Road. Because the Ibis Road extension will not be completed until possibly decades from now — as county staff had testified — residents of the Serenoa Lakes and Serenoa communities stressed to the County Commission that Ibis Street is the only immediate access to their homes and the Grand Lakes site. Those residents would be the closest neighbors to Grand Lakes. Nonetheless, the commissioners in July 2018 approved the plans for up to 1,097 homes on the Grand Lakes property. The project is a Neal Communities initiative. On a unanimous vote of approval of its March 12 Consent Agenda, the commission formally gave staff the go-ahead to initiate a Comprehensive Plan amendment to the county’s Future Thoroughfare Maps that would not only realign the routing of Lorraine Road — which runs north-south — but also classify Dove Street as a two-lane minor collector. In December 2016, the memo explained, the commission adopted an updated version of the county’s Comprehensive Plan. 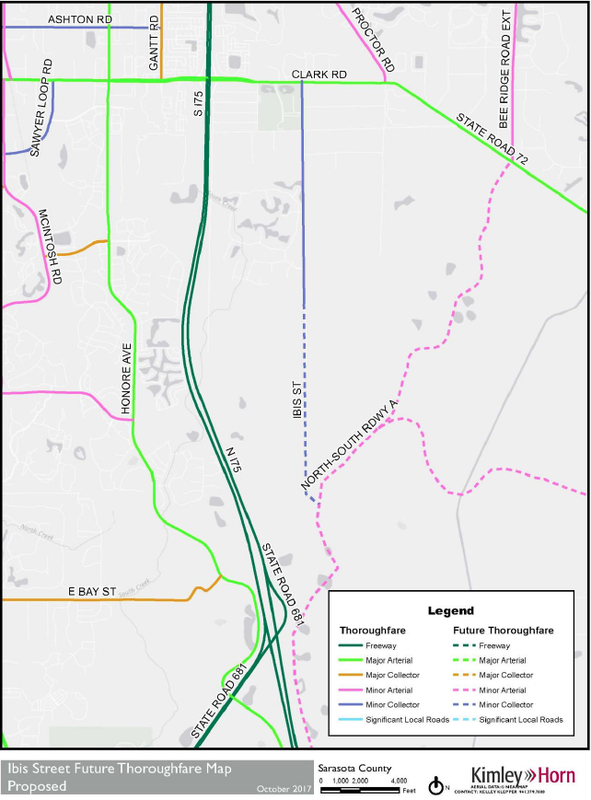 In that document, the Future Thoroughfare Plan Maps included Lorraine Road from Clark Road south, “roughly paralleling I-75 …” Lorraine Road then was planned to proceed east along Rustic Road to an intersection with Knights Trail Road. 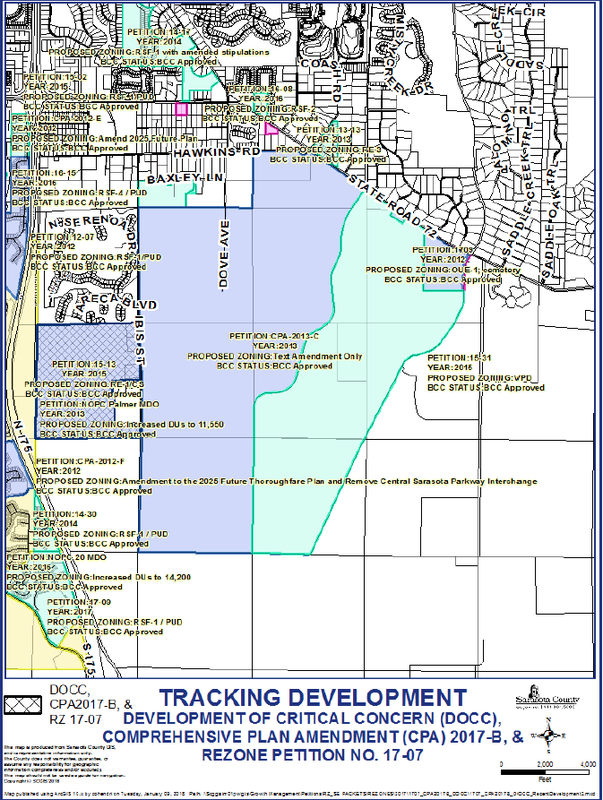 Several developments that the County Commission already has approved and others that have been planned “are connected to or utilizing the thoroughfare from Clark Road south to the northern limits of the City of Venice,” where it meets Knights Trail Road, the memo continued. Work on the rerouting of Lorraine Road “presents an opportunity,” the memo said, to analyze possible positive benefits. For example, the memo noted, connectivity could be enhanced, more limited environmental impacts might result and overall infrastructure costs could be reduced. “Conceptually, staff would examine routing Lorraine Road eastward to Knights Trail Road, north of Knights Trail Park, proximate to the [county landfill],” instead of south of Knights Trail Park along Rustic Road, the memo added. As for Dove Street: The memo explained that a second facet of the proposed amendment would add that street as a two-lane minor collector from Clark Road to Lorraine Road. With the County Commission’s approval last week of the plans for the amendment, the next step will be the scheduling of a neighborhood workshop, so staff can discuss the plans and then listen to public comments about the proposals. In response to a Sarasota News Leader question, county Media Relations Officer Ashley Lusby wrote in a March 20 email that staff has not yet set a date for that workshop. The process also will entail public hearings before both the county Planning Commission and the County Commission.